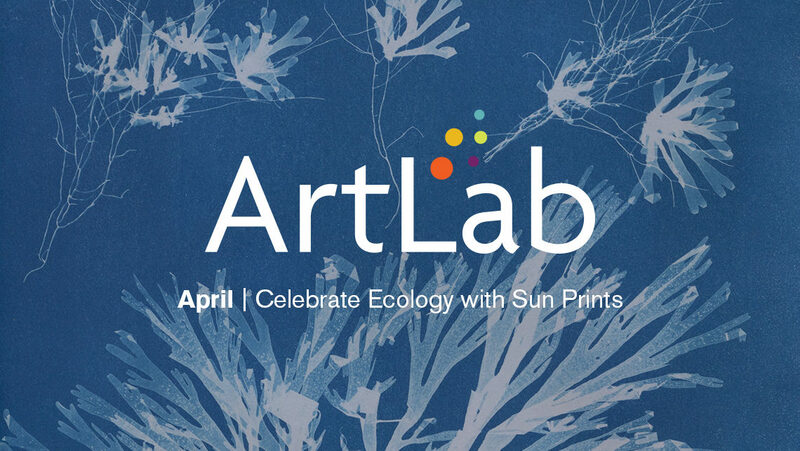 Rockland, ME, March 29, 2019 — The Center for Maine Contemporary Art (CMCA) invites artists of all ages to create sun prints celebrating ecology during April’s ArtLab for All Ages on Saturday, April 6, from 2 to 4pm. Taking inspiration from the exhibition Melt Down, participants will experiment with a twist on photo-making. Explore the process of sun prints (also known as cyanotypes) to create photograms of plants and organisms local to our MidCoast ecosystem. Use the materials provided as subjects or bring your own. Led by instructor Alexis Iammarino, ArtLab for All Ages takes place on the first Saturday of every month at CMCA, 21 Winter Street, Rockland, and is always free and open to all. Support for ArtLab is provided in part by The Bob Crewe Foundation, The Cricket Foundation, First National Bank, Margaret E. Burnham Trust, Milton & Sally Avery Arts Foundation, Morton-Kelly Charitable Trust, Nellie Leaman Taft Foundation, Stephen & Tabitha King Foundation, and individual donors. CMCA is a contemporary arts institution presenting year-round exhibitions, engaging events, and educational programs for all ages. Location: 21 Winter Street, Rockland, Maine. Open Wednesday – Saturday, 10am-5pm; Sunday noon-5pm.